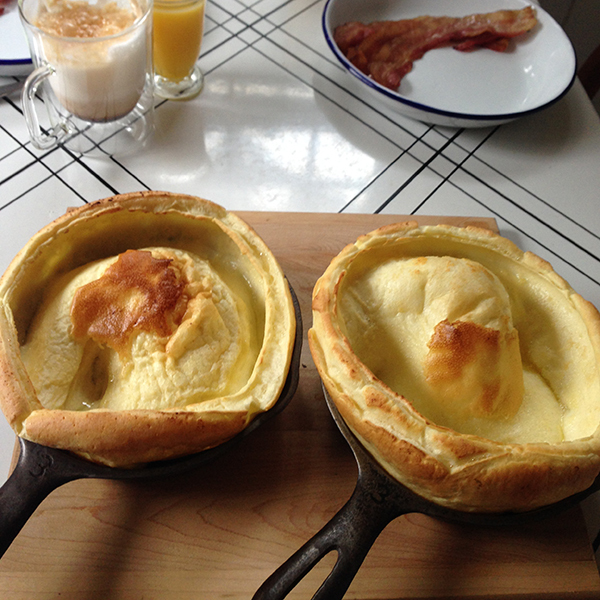 Just when I thought dutch babies couldn't get any better, Aaron came up with an idea. 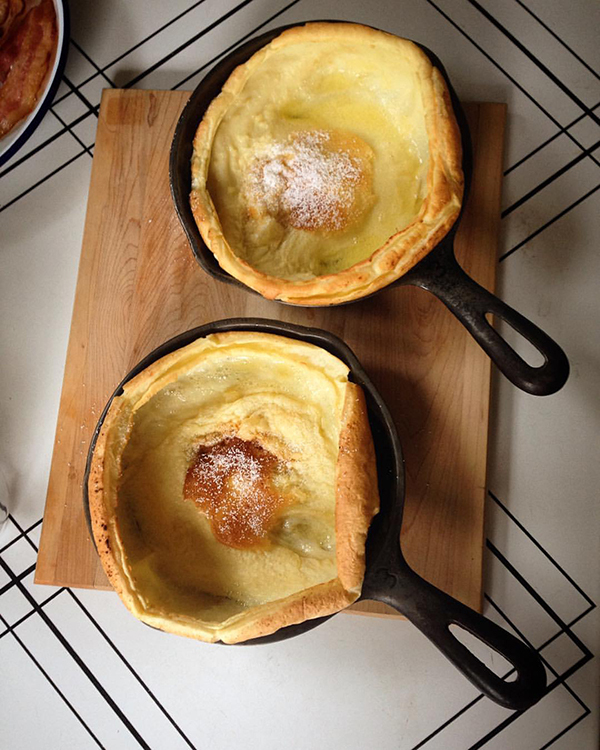 My mom just gave me another small cast iron pan and so he made BABY dutch babies in them! 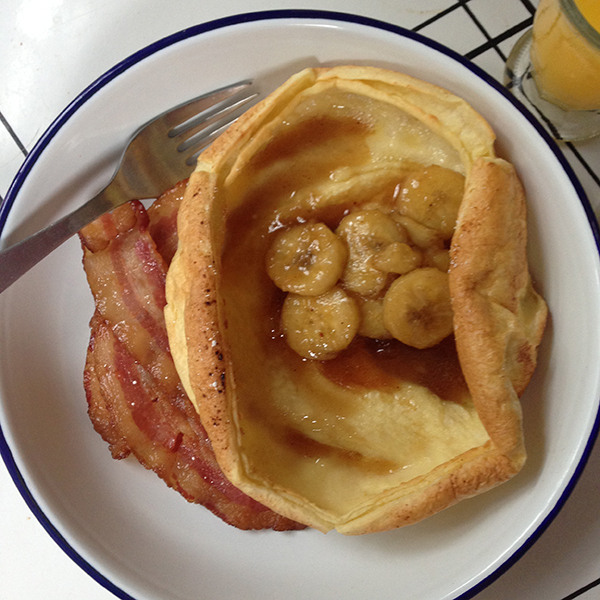 Single serving dutch babies for breakfast! We have been having dutch babies in our house for breakfast and brunch for years. The way they pouf up is always a fun morning show. To shake things up this time, we made a sort of bananas foster syrup to pour on top. Cut butter into a cast iron pan and heat in a 400 degree oven until the butter melts. While butter is melting, mix other ingredients together. Pull the pan out of oven, pour batter into it and return to the oven. Bake until puffy and browned, about twenty minutes.